Chillies ,and after it splutters ,minimize the flame to low,and add Onion and Tomato pieces.Saute for a few minutes,then add Tamarind Juice in to the kadai and also add Salt.Let it boil.When it started boiling add cooked dal ,allow it to boil for another 5 mins in low fire.Then lastly add 3 spoons Sambar Powder to half cup of water.Stir, and slowly add the mixture to the boiling sambar.Let it boil for another 5 mins ,add Curry and Corriander leaves. Lastly garnish with Corriander and Curry leaves and Mustard seeds. 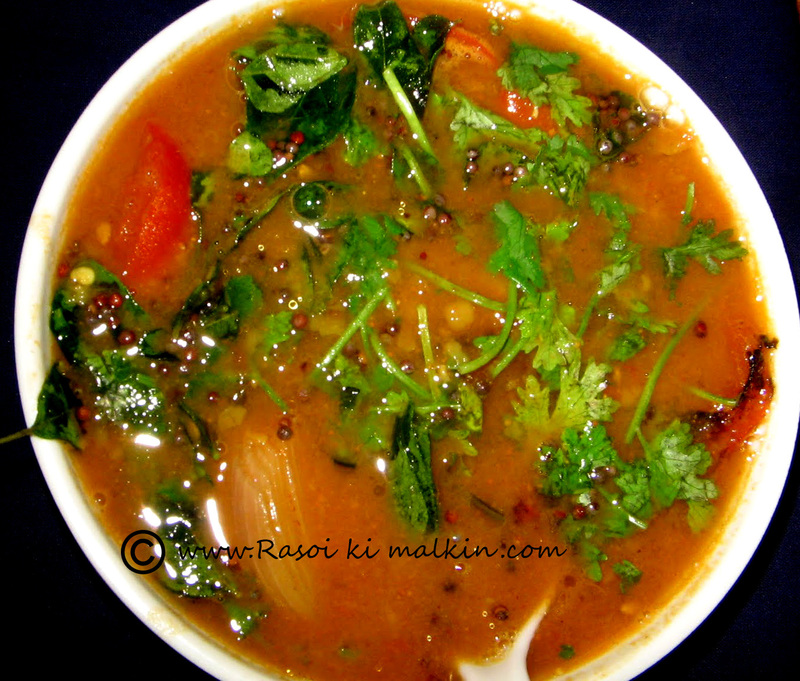 Serve hot with Rice or Chappathis or even Tiffins like Dosa and Idlis.